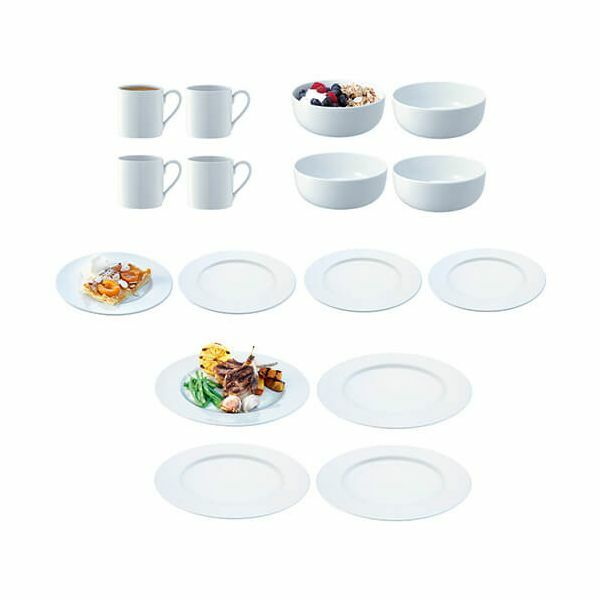 This Sixteen Piece LSA Dine Set includes four mugs, four curved cereal/soup bowls, four rimmed starter/dessert plates and four rimmed dinner plates. 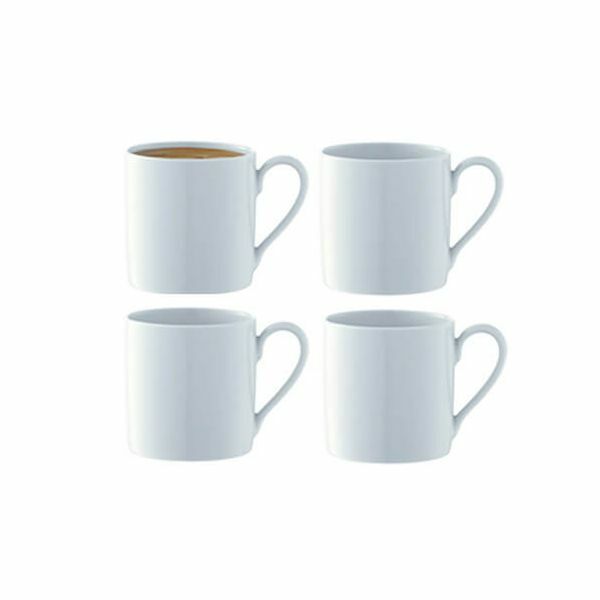 The set is made from vitrified porcelain for added durability and strength and can be used in a microwave and cleaned in a dishwasher. A great housewarming gift or wedding present. Bowl - Width: 15cm x Height: 5.5cm. Starter plate - Width: 20cm. 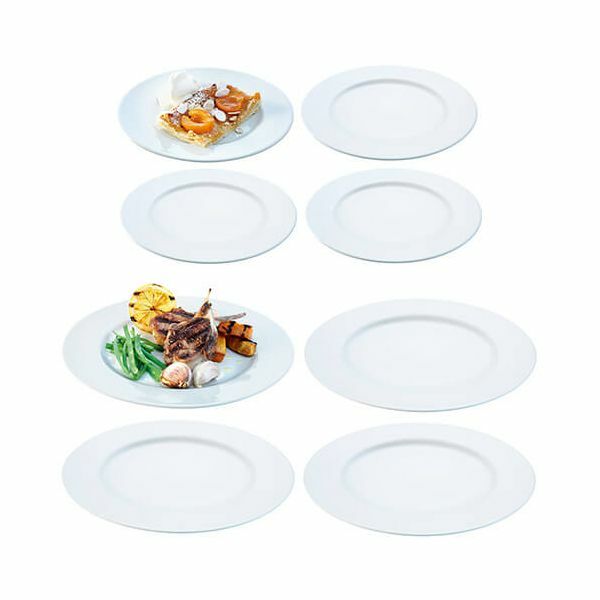 Dinner plate - Width: 27cm.